Fee for vendor table at March meeting. Includes 2 people per paid table as well as dinner. 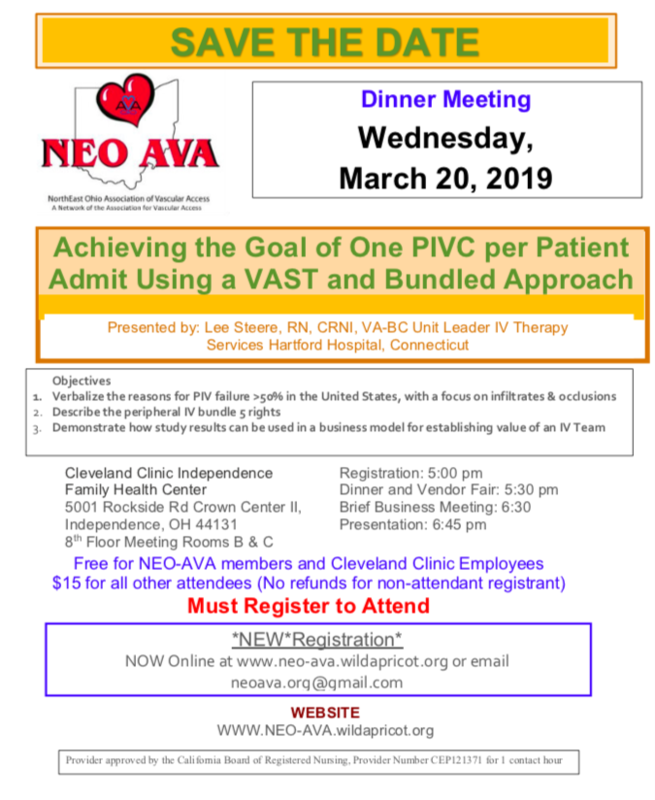 NEO-AVA welcomes you to the March dinner program presenting "Achieving the Goal of One PIVC per Patient Admit Using a VAST and Bundled Program" by Lee Steere RN, CRNI, VA-BC, Unit Leader IV Therapy Services, Hartford Hospital, Connecticut. There will be dinner for 2 per paid booth provided as well as 1.5 hours vendor time. Please register for pricing and reach out with any questions!